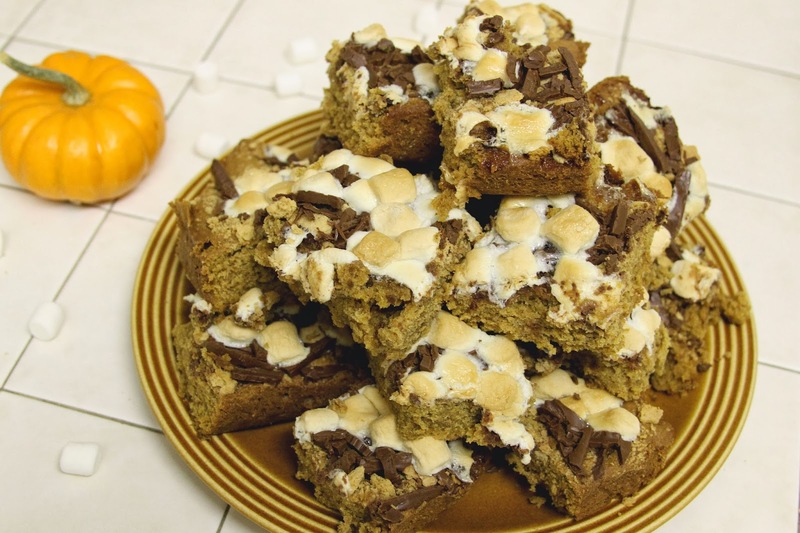 These lovely concoctions incorporate a tasty seasonal injection of pumpkin to everyone's favorite childhood snack, the good ol' smores. 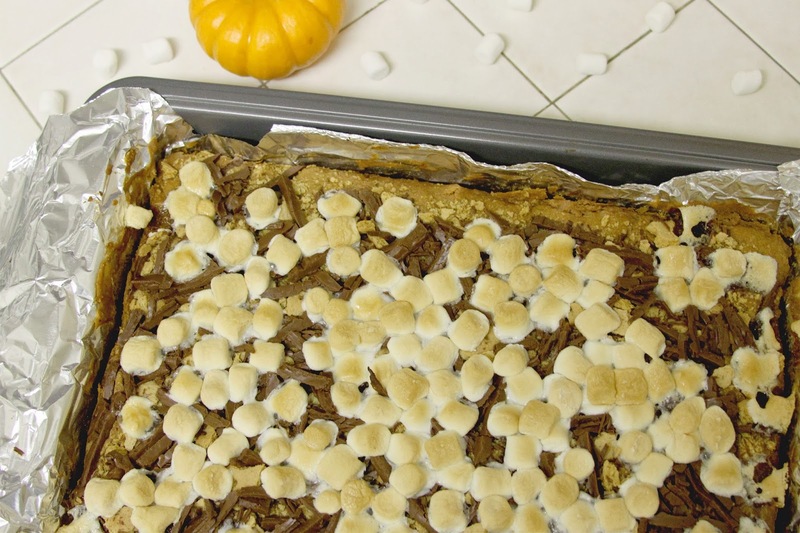 And being in a bar form make them all the more practical to eat, no campfire necessary! The oven seems to roast and toast the marshmallows just fine, making them the right amount of gooey to melted shards of chocolate. 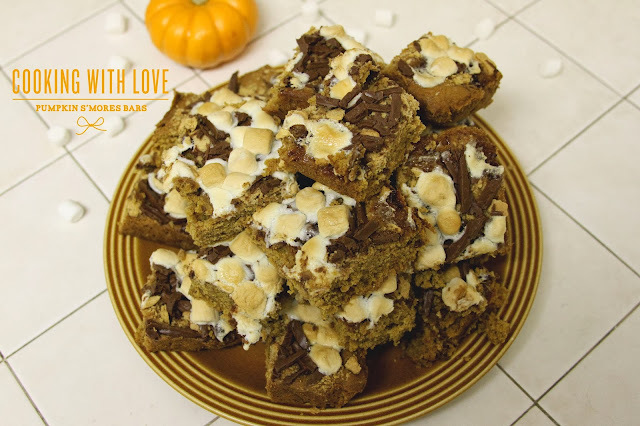 The crumbled graham cracker adds for a nice crunch before you sink your teeth into pumpkiny goodness! Kind of like a brownie hybrid, but not quite... these sure confused, delighted, and amused my co-workers. 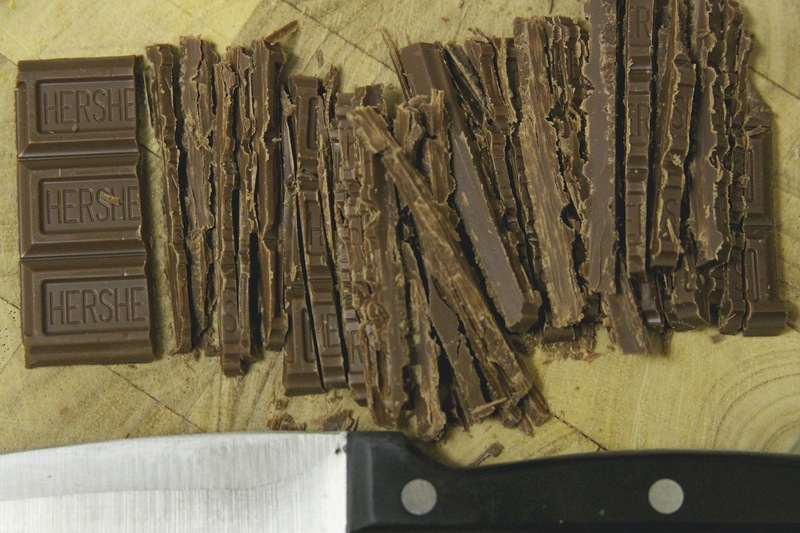 I think if I were to try this recipe again, I'd opt for a dark chocolate since I prefer the bitterness, but for these I decided to stick with the all American classic, Hershey's! Line the bottom and sides of a 9" x 13" baking pan with foil, leaving a bit of of foil over the edges to help removal later. Lightly spray foil with non-stick spray, set aside. 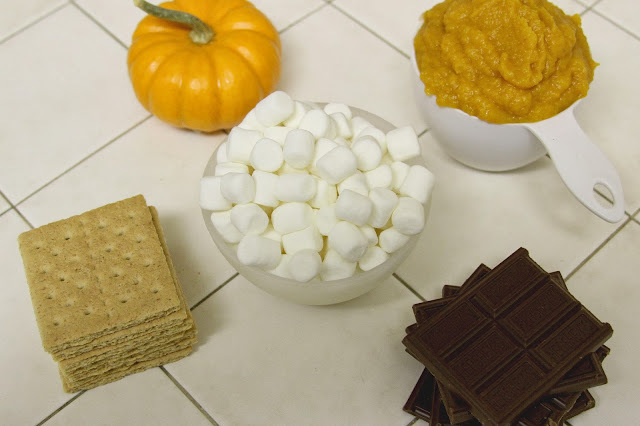 Whisk flour, baking soda, pumpkin pie, and salt in a medium sized bowl, set aside. 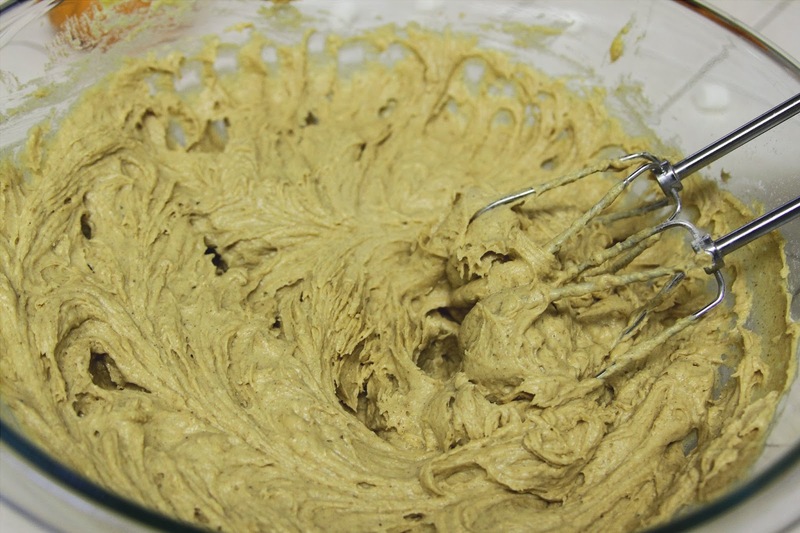 Using a handheld mixer, cream together the butter and sugars on a medium-high speed until smooth. Add in the egg and vanilla, mixing until incorporated. Beat in the pumpkin puree and note that mixture may appear curdled. Reducing speed to low, gently add in the dry ingredients, mixing until combined. 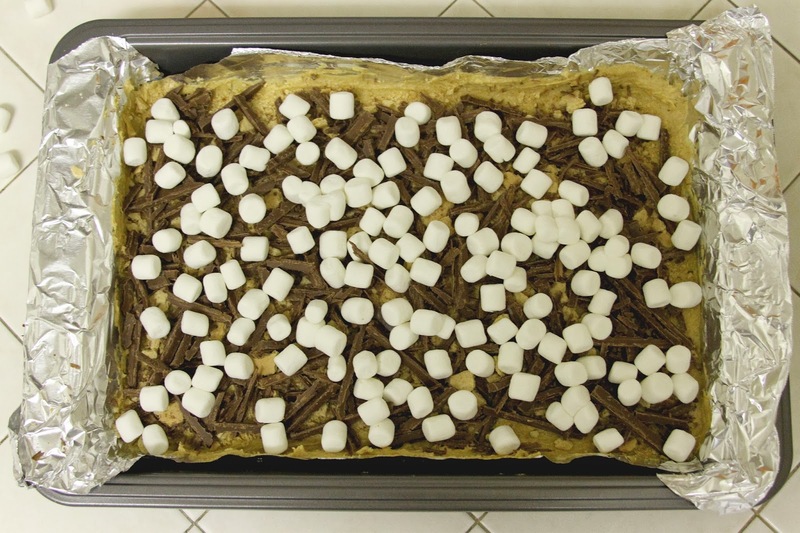 Spread mixture into foil lined pan, smoothing out and topping with crushed graham crackers, chopped chocolate, and mini marshmallows. Bake for 35-40 minutes, or until an inserted toothpick in the center comes out clean. Place pan on wire rack and let cool completely before removing from pan using the foil flaps. Cut bars as little or as big as desired... enjoy!